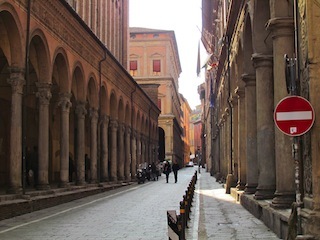 My 1st time in the lovely city of Bologna and the Emilia Romagna region. 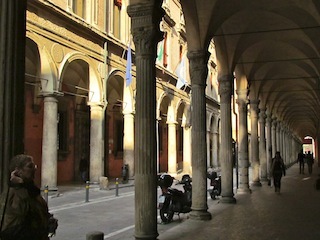 The old town has beautiful architecture and pedestrian streets lined with the porticos, squares and marbled pavements. 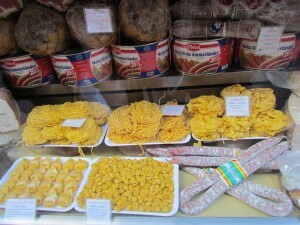 You can wander endlessly with great spots to stop for a café or glass of wine and dine on local cuisine. Lots of young people from the universities so very lively. It is only 30 minutes by train from Florence, has an international airport and a great base for visiting many towns within an hour such as Parma, Modena, Ravenna and more. Our hosts Raffaella & Marcello create 4 & 5 day programs to learn about and experience the region of Emilia Romagna. 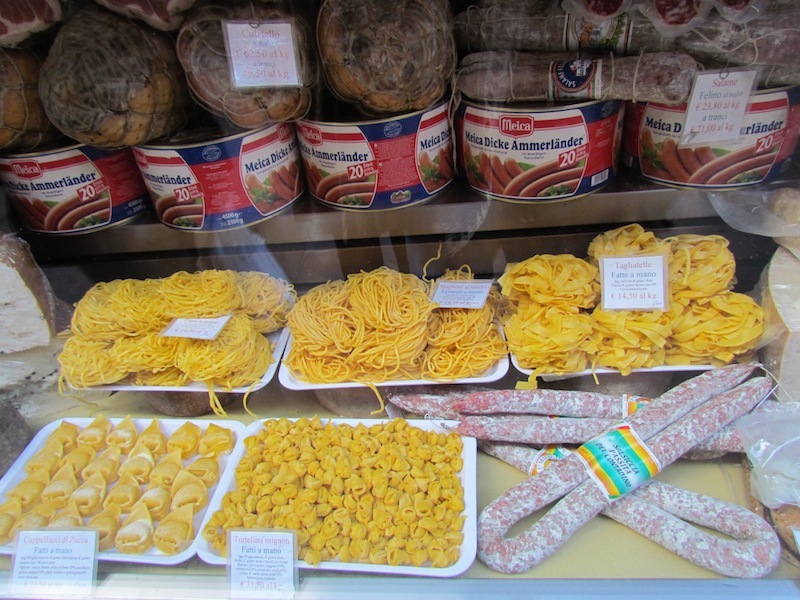 Focusing on specialties of the area such as tortellini, bolonaise, wonderful prosciutto & mortadello, Parmesan cheeses, paired with…you guessed it, wines of the region. They are from the area so are a wealth of information on the culture and cuisine. We enjoyed a dinner at our host’s home where Raffaella and daughter Francesca shared family recipes and their love of cooking. 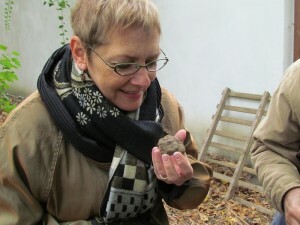 Another highlight was a morning hunt for tartufo bianco (white truffles) with Pietro and his dog Bobby. We were told they were very scarce this year due to the dry weather. To our delight, Bobby found a sizable truffle! An experience realized on my “bucket list”! Spent evenings dining on specialties of the region, walking through the quaint town of Dozze and visiting Nicola, a fantastic chef who shared his talents of cooking and serving us a wonderful meal. 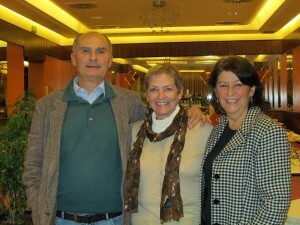 Many thanks to all of our hosts for a true taste of Emilia Romagna. I’d love to get a group together to enjoy this amazing region! Pietro and Bobby, the truffle hunters!